Greetings on the final Saturday afternoon of September! 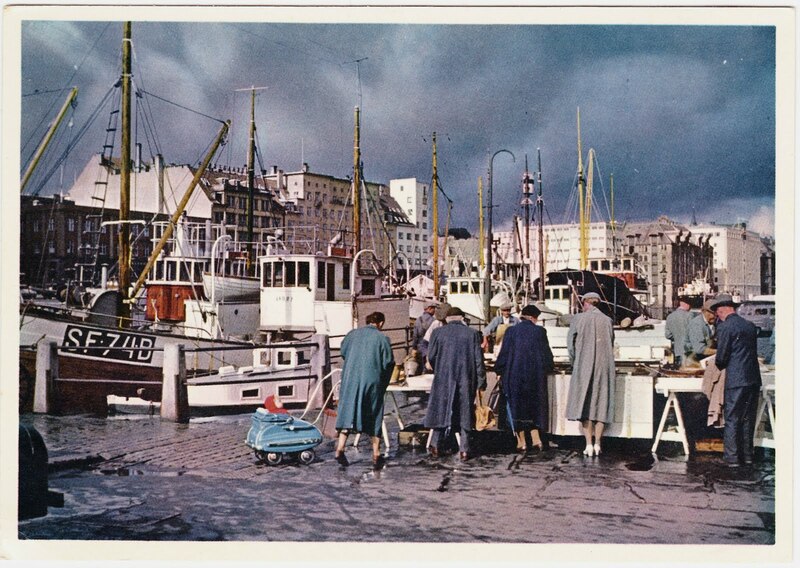 Today's first postcard, shown above, is an undated, unused postcard of The Fish Market (Parti fra Fisketorget) in Bergen, Norway.1 It was published in Oslo by Eberh. B. Oppi. I'm sure the Fish Market has changed greatly over the decades. Here are some recent descriptions and reviews from TripAdvisor. There are many more interesting blurbs (positive and negative) that you can check out on TripAdvisor, which seemed to have the most extensive collection of online consumer reviews of Bergen's Fish Market. 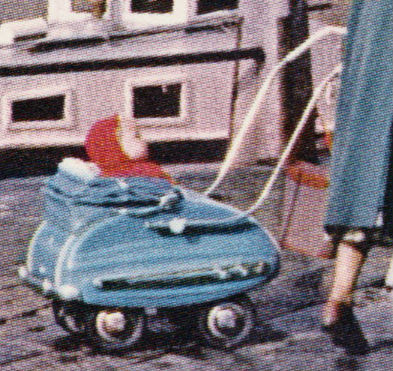 That hoodie-clad baby is riding in style! It almost looks like the baby carriage version of a Linjebuss. 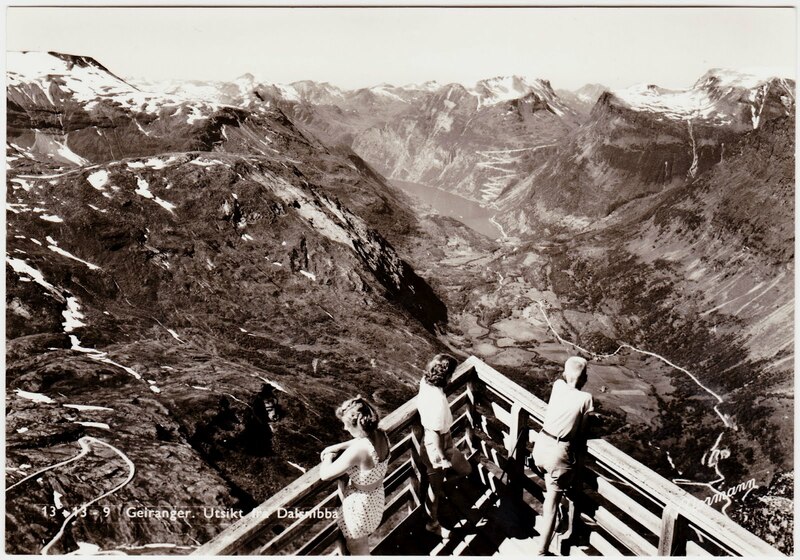 The text on the front of the Normann postcard2 states: "Geiranger. Utsikt fra Dalsnibba"
The Norwegian to English translation would be: "Geiranger. View from Dalsnibba"
Dalsnibba, meanwhile, is the 4,843-foot mountain that is located about 13 miles south of Geiranger and Geiranger Fjord. The photograph for this postcard would have been taken near Dalsnibba's summit. 1. The Hanseatic warehouses in Bergen were previously featured in this July 2011 post. 2. Arne Normann took more than 300,000 photos in Scandinavia between 1940 and 1990 and became synonymous with Norwegian postcards. I also stumbled upon Foto Normann, which "is a documentary film about legendary Norwegian landscape photographers Arne Normann and his father Carl Normann who led the tourist postcard photography business in Norway for over a hundred years." 3. According to Wikipedia: "Geiranger is under constant threat from the mountain Åkerneset which could erode into the fjord. A collapse could cause a tsunami that could destroy downtown Geiranger."